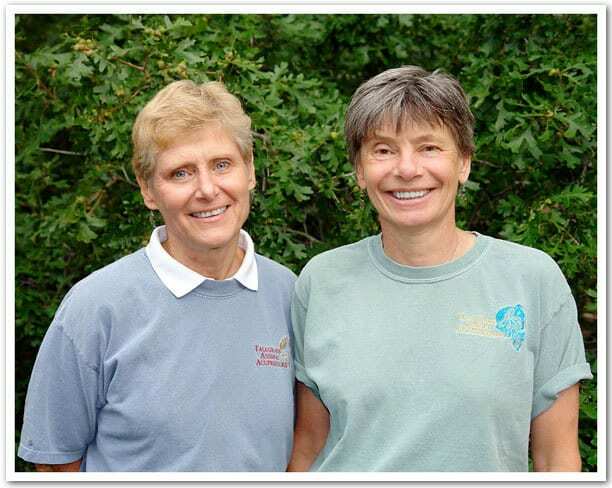 Amy and Nancy are the founders and owners of Tallgrass Animal Acupressure Institute in Castle Pines, CO.
Cattie: I “virtually met” Amy several years ago when I contacted her to ask if she would be interested in doing a guest post about Tallgrass for Animal Massage Guide. To my delight, she said yes (you can read that post here), and we have since kept in touch and collaborated on other posts. Amy and Nancy do amazing work and are recognized worldwide as leaders in their field, and I couldn’t be more excited that they agreed to be regular contributors to Animal Wellness Guide. Nancy and Amy are the pioneers in the field of equine, canine, and feline acupressure. They have authored eight animal acupressure-related texts and write for publications in the US, Canada, England, and Australia. 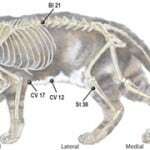 They have created a number of learning tools for people to expand their knowledge of animal acupressure beyond their books including DVDs, meridian charts, and Apps for mobile devices. Nancy is the Program Director at Tallgrass, adjunct faculty at Hocking College in Ohio, and a founding Board Member of the National Board of Certification for Animal Acupressure & Massage (www.nbcaam.org). She studied at the International Institute of Traditional Chinese Medicine and has a background in veterinary homeopathy. She is looking forward to making a contribution to the Animal Wellness Guide resource. Amy joined Nancy in founding Tallgrass Animal Acupressure Institute in 1998. 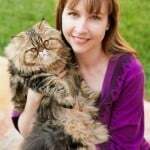 She has co-authored the eight acupressure books and the certificate animal acupressure online and hands-on animal acupressure training program. 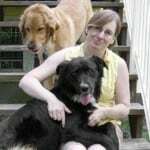 Amy began her studying of Traditional Chinese Medicine in 1976 and has worked with dogs and horses since childhood. She studied at the International Institute of Traditional Chinese Medicine and the Acupressure Institute in California. Amy is the Immediate-Past Chair of the National Board of Certification for Animal Acupressure & Massage, a founding board member of NBCAAM, adjunct faculty at Hocking College, and the Director of Education at Tallgrass. She teaches acupressure and tui na worldwide. 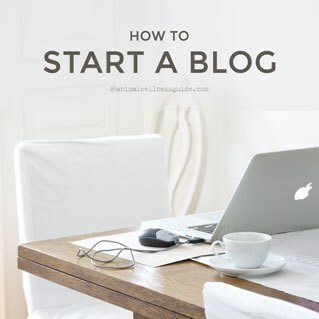 Have questions for Amy and Nancy? Use the “Ask a Question” window (below, right) or the contact form. 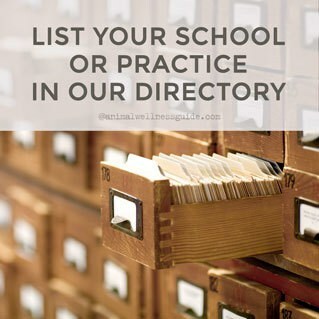 And remember to join our mailing list to make sure you don’t miss any posts!